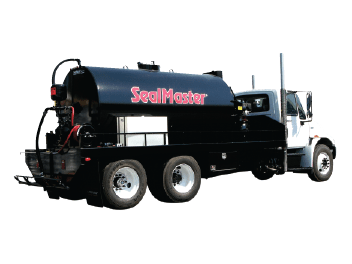 Sealcoating: SealMaster® offers self propelled, trailer and skid mounted spray, squeegee and dual sealcoat application machines. 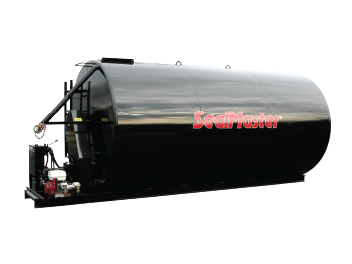 Bulk Storage Tanks: SealMaster® manufactures both horizontal and vertical storage tanks designed for the storage of raw and emulsified asphalt. Mobile units have either hand or hydraulically agitated, full sweep paddles for achieving ideal sealcoat material consistency. Asphalt Distributors: Heat & spray asphalt emulsions, cutbacks, rejuvenators and more. Ideal for use in chip and tar road repair when combined with the SealMaster® chip spreader. 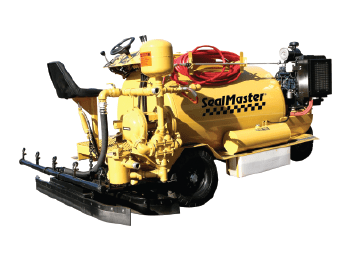 From durability and performance to after sale service, SealMaster® has everything you need for your parking lots and driveway maintenance needs. 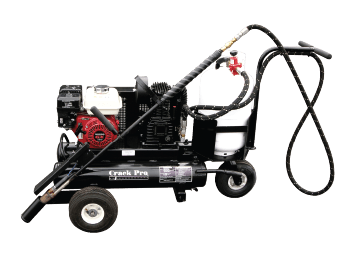 The portable solution for spraying equipment sealers with sand. Also ideal for applying cold pour crack sealants and water base tack coat. • 20 gallons per minute! 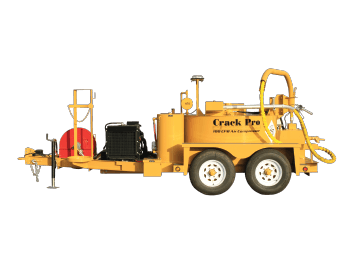 Oil-Jacketed Melter/Applicator For Hot Pour Crack Sealing Materials. • ALL DIESEL POWER! Both the burner and the engine are powered by diesel fuel for maximum safety, efficiency, and performance. • Ready to apply within 1 hour. • Available in 125 & 260 gallon capacities. • 50 gallons per minute! • Use your own compressor! • Spray pavement sealers and fill cracks. • Mounts directly on top of a 55-gallon drum (drum not included) or rested on flat surface. 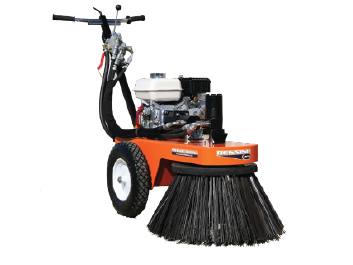 The “Workhorse” of squeegee machines with a 320 gallon capacity. • Round tank design with true full sweep agitation and rubber wiper blades. • Floating squeegee assembly with rear angling squeegee (windrow features) and front box squeegee. • Rear wheel drive for added traction and easier trailer loading. Ideal for use with CrackMaster™ Supreme Direct-Fire crack sealant. A 320 Gallon Capacity Machine That Does It All! – Spray Bar, Spray Wand, and Squeegee Application. 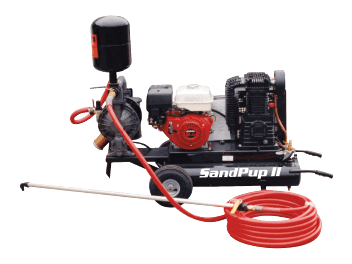 • SandPumper II material pump-shifts to neutral when wand or spray bar is shut off. 75 GPM output. • Round tank design with true full-sweep agitation and rubber wiper blades. • Water tank and fog system with electric water pump for fogging pavement. • Includes burner, hose, and regulator (Designed for use with Vapor LP gas cylinder). The “Titan” of squeegee machines with a 575 gallon capacity. • ALL WHEEL DRIVE for added traction and easier trailer loading. Ideal for melting CrackMaster™ Supreme Direct-Fire material. A 575 Gallon Capacity Machine That Does It All! • For ease, convenience, and high production. • Includes larger air compressor and air-wand attachment for blowing out cracks. • 75-foot hose and spray wand. Spray bar is optional. • Two 6,000 lb. axles with electric brakes. • Running lights and brake lights. • This compact versatile unit is ideal for parking lot and driveway applications – Cart holds two 5-gallon pails. • Dependable, low-maintenance air-driven dual diaphragm pump-shifts to neutral automatically when wand or spray bar is shut off. 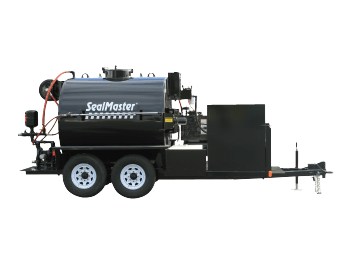 Sprays pavement sealers with sand loadings – 50 GPM. • 1,000 gallon tank with hydraulically controlled full sweep agitator with rubber wiper blades. • Three 6,000 lb. axles. • Economical pump unit that plugs into any air compressor (10 cfm or higher) (Requires separate air compressor). • Hydraulically controlled full sweep agitation with rubber wiper blades. • 75-foot hose and spray wand. Cleans and dries cracks in one motion. Highly maneuverable. 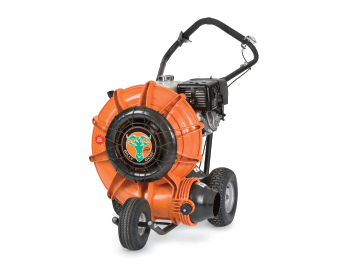 • Heavy-duty air driven dual diaphragm pump with 2″ outlet and 100 GPM output. • Large capacity 50 SCFM air compressor. • One gallon basket strainer. 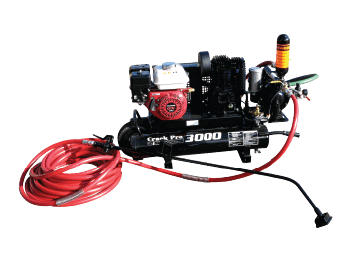 • Kit includes: Hot Air Lance, 50 ft. hose with protective cover, wheel kit debris guard, shoulder strap, air filter, LP regulator gauge and quick connect fittings. • P.A. Torch Package includes: Torch, 50 ft. U.L. rated gas hose, regulator and 1/2″ standard air quick connect. 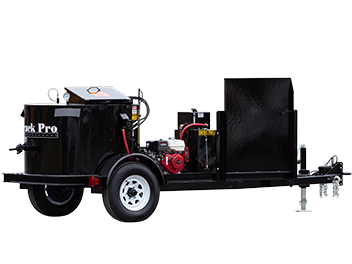 The SandPup™ Trailer is the economical way to transport and apply pavement sealers with sand. • TR 300 hand agitated tank trailer, 300-gallon unit. 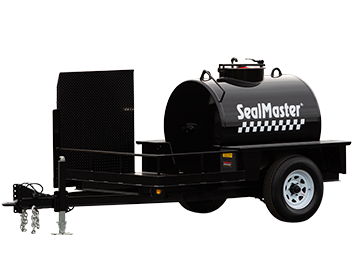 The SandPup™ Skid Unit is the economical way to transport and apply pavement sealers with sand. 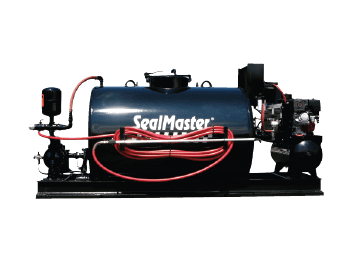 • SK 300 skid tank – fits into the bed of any full size pickup truck, 300 gallon unit. 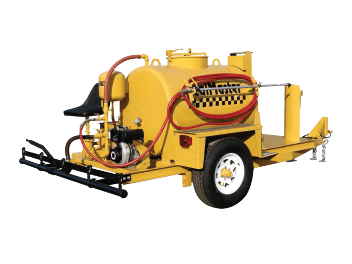 The Sealer Wheeler™ is an economical mixing and dispensing unit that is ideal for pavement sealers, tennis court coatings, and many other uses. 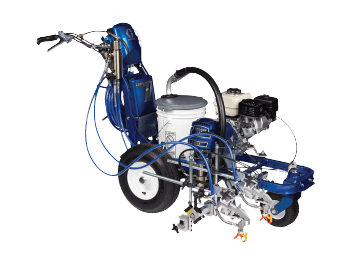 Designed For Transporting & Mixing Pavement Sealers. Available in 200, 300, & 575 gallon capacities. Ideal For Paving Grade Asphalt, Roofing Asphalt, & Asphalt Emulsions. 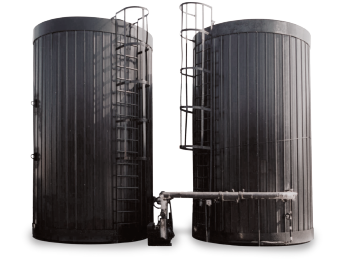 Tanks can be customized to meet specific requirements or sizes. An industry favorite for cleaning cracks prior to crack sealing. • 8″ twisted wire brush and 4 H.P. Honda GX engine. Heat and spray asphalt emulsions, cutbacks, rejuvenators, primers, & more. Available in several engine options. • Adjustable air deflector – blows air to front or side and pneumatic tires for smooth handling. 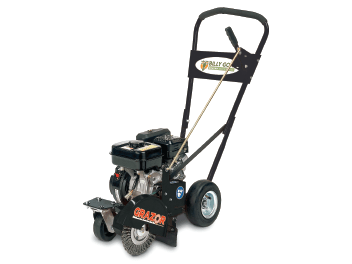 Ideal for cleaning dirt, debris, and vegetation from cracks prior to cracksealing. 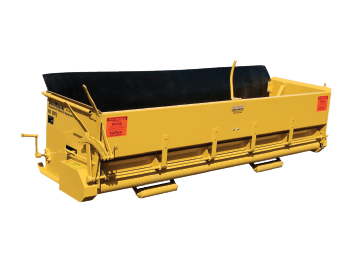 The R-1 is a tow behind aggregate spreader that is ideal for tar and chip operations on roadways. The R-1 distributes aggregate to precise depths with clean cut edges. It features an open type spiral agitator to convey material to outer ends of hopper. The R-1 is available in 10 foot width.